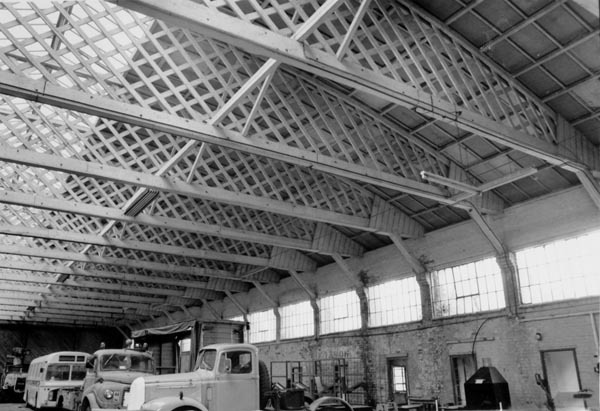 To support the restoration of the Hangars we offer a storage service for Cherished Vehicles, Caravans and Motorhomes. Hooton Park Cherished Vehicle and Caravan Storage offers high quality secure storage for vehicles of all kinds. Less than two minutes off M53 Junction 6, the hangars are accessed by a private road located within the curtilage of Vauxhall Motors Ellesmere Port car plant. Hooton Park is superbly located on the UK Motorway network, allowing quick and easy access to North Wales, the Peak and Lake District within 2 hours. We offer a friendly, personal service and your storage fees contribute to the restoration of this unique historic site. Vehicles of all sizes can be stored inside the historic aircraft hangars or outside on hard standings alongside the hangars. We have a capacity to accommodate upwards of 300 vehicles. Whatever you have we aim to be able to store, for example our largest item is a 68' boat. Our rates are very competitive for the quality of space and level of security we offer. We have introduced a discount scheme for customers that store more than one item with us, for each additional item you store you will receive a 5% discount (up to a limit of three additional items), however the full amount will be charged on your most expensive item. The more you store, the more you save! All vehicles movements and handling on site are undertaken by our trained staff.